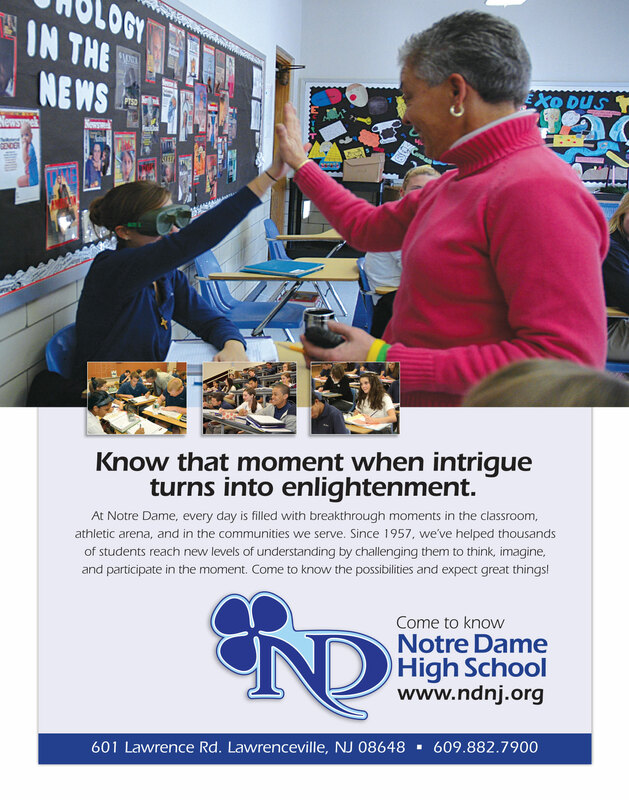 Since 1957, Notre Dame High School, located in Lawrenceville, New Jersey has experienced uncommon success helping thousands of students come to know new levels of understanding, strength, and faith – preparing them for even greater achievements in life. 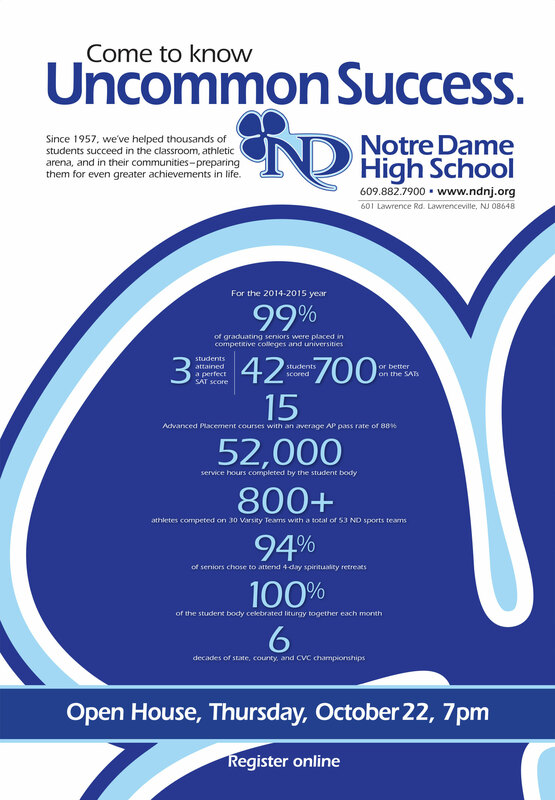 With steady enrollment at maximum levels annually, Notre Dame was in a strong position. 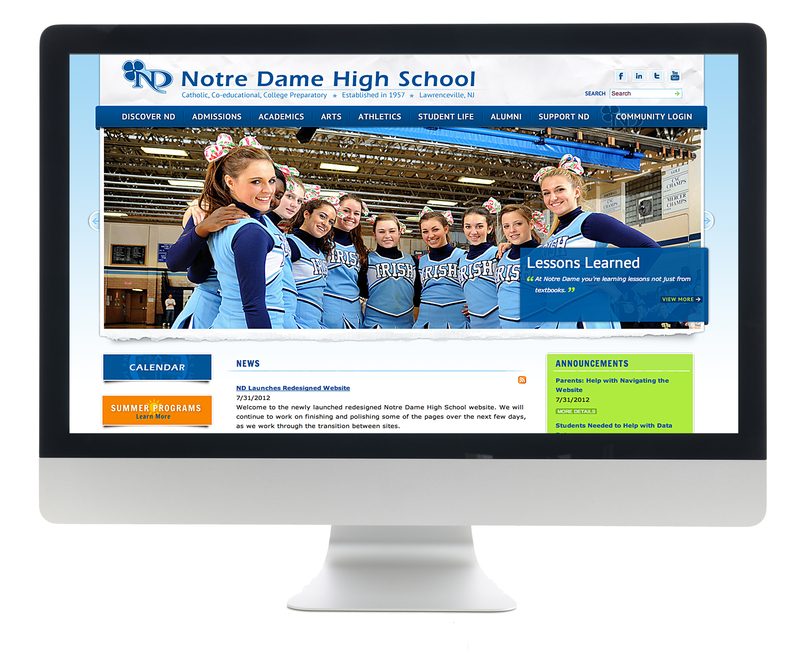 But, with private school educational costs rising annually and traditional feeder grade-school systems deminishing, we set out to develop a 5-year marketing plan to ensure continual enrollment. 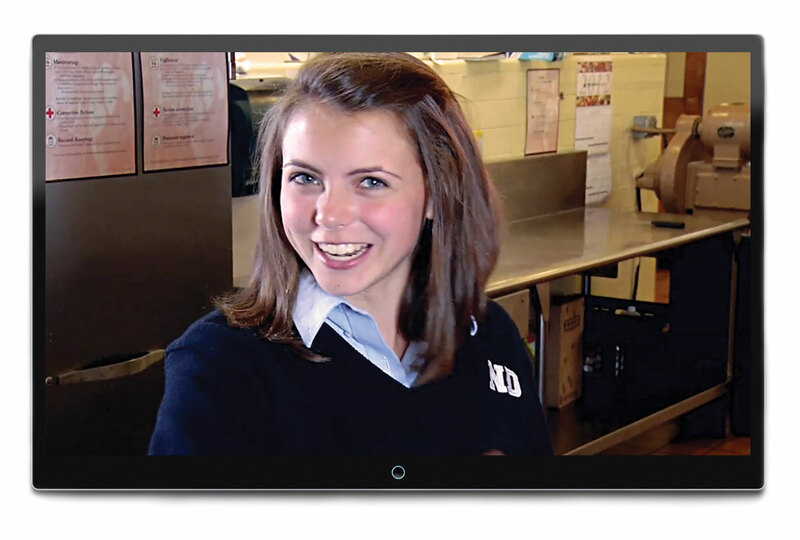 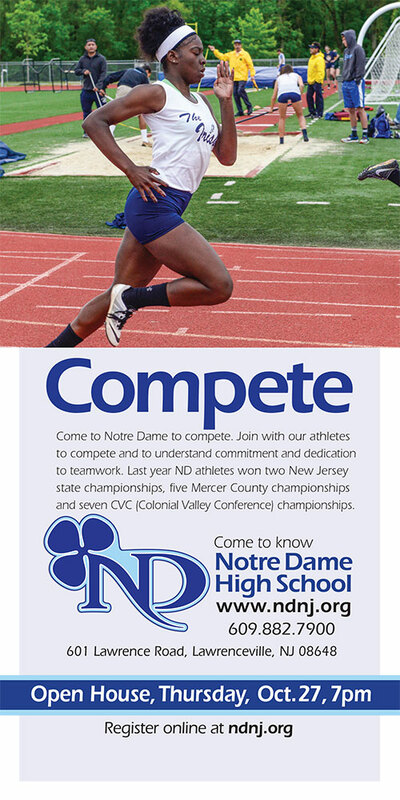 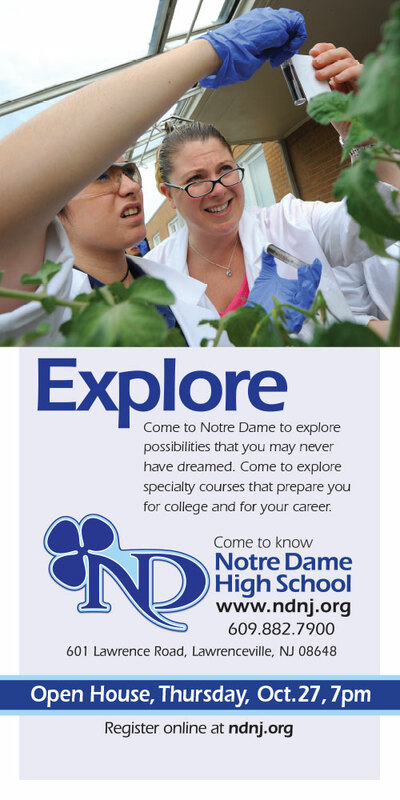 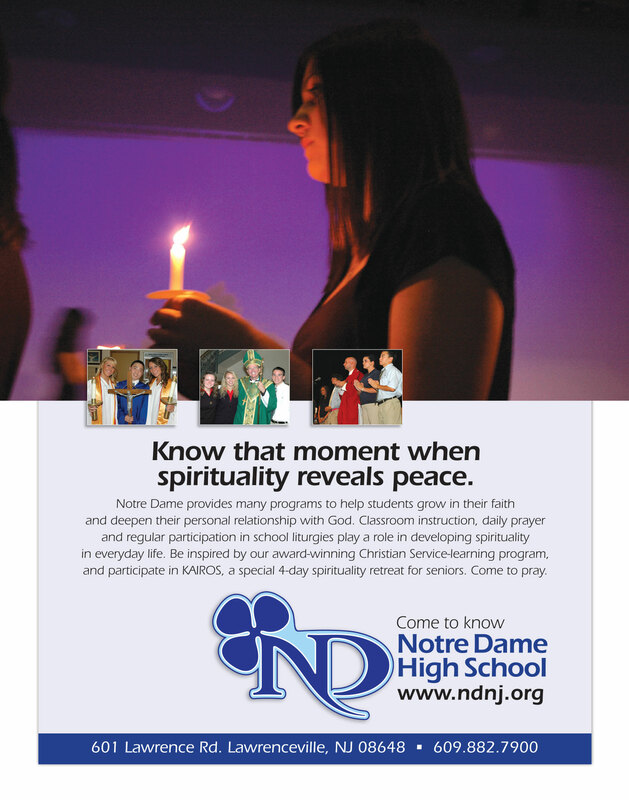 Campaign elements invite families, parishes, alumni, and community leaders to come to know moments of extraordinary success happening everyday at Notre Dame High School. 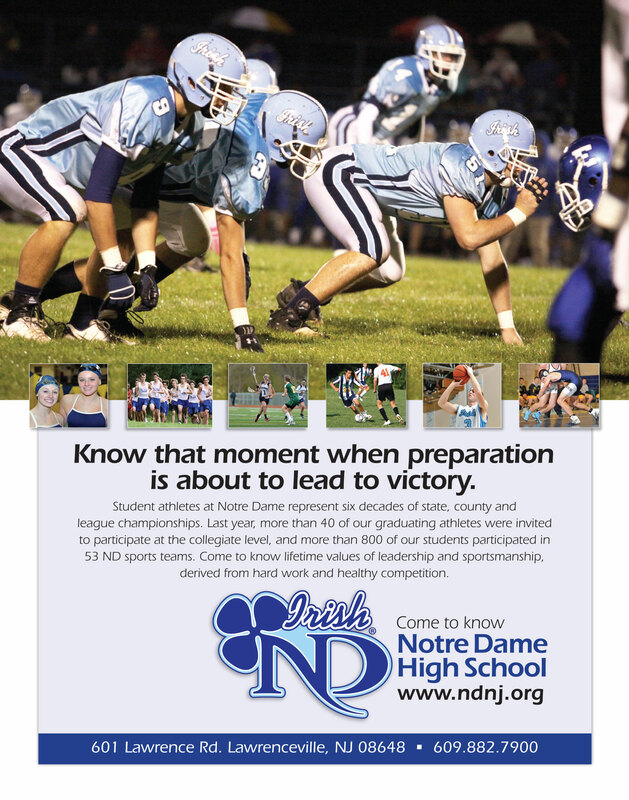 Beginning in 2008, StimulusBrand designed an all-new logo for ND featured on fields, arena floors, signage, uniforms and throughout the school and community. 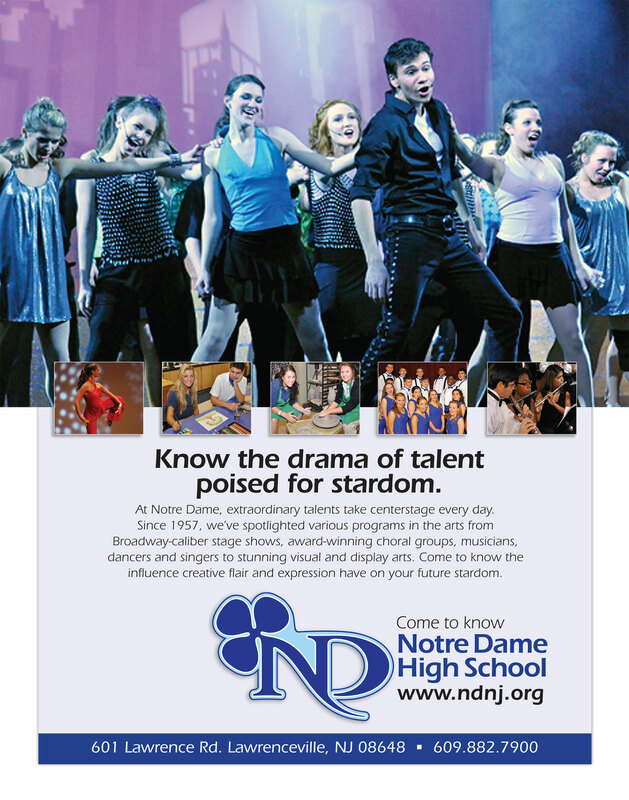 StimulusBrand continues to serve Notre Dame with promotional campaigns each year featuring mall displays, transit and train posters, banners, TV, Video, Outdoor, social media, direct mail, and local advertising.